All week long, as I'd been rushing headlong into the brand-new routine of big-school I'd been making mental notes of the little highlights I wanted to share here. I was so looking forward to finding some quiet time to sit and write it all down. I wanted to tell you about the funny stories, the burgeoning friendships, the new skills Lile and Sábha are learning during their first days at school. I wanted to do what I always try to do in this space - share the beautiful stuff of life. Then, a couple of days ago, I saw the photograph of little Aylan Kurdi lying dead on a beach. A tiny, precious three-year-old boy. Somebody's gorgeous son. Dead and gone, in the most tragic circumstances, because of a war that had nothing to do with him. His brother Galip was found there too. He was five. The same age as my girls. He should have been tucked into bed to sleep that night - not bundled, by frightened parents, into an overcrowded dinghy in the dark. His only fears that night, should have been that big-school might be hard to get used to - not feeling the screaming terror of slipping through his family's fingers into the black water. Their story paralysed me. Stopped me in my tracks. Made me look - really look - at what is happening in Syria. Happening, right now, to millions of children like these boys. 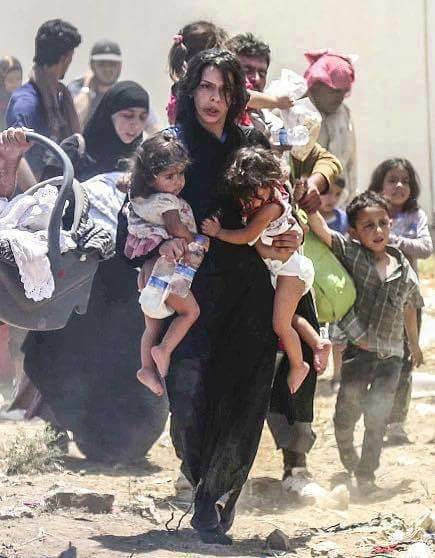 The millions of men, women and children, who are running for their lives. And after I looked, I realised I couldn't just write a synopsis of my own children's gentle days and pretend that I hadn't seen. Pretend I didn't know that those little boys would never get to go to school like them. Would never be in their parent's embrace again. Would never reach the safety they risked everything for. And though my words are incapable of conveying the magnitude of this situation and I don't even fully understand the history of this war, I know that I have to say something. Because ignoring this crisis is not going to make it go away. And those two little boys, and all of our fellow-humans who are suffering and frightened and running into the unknown deserve our help. The world is a cruel and frightening place sometimes but this is our chance to show that there is still beautiful stuff in it. Let's show those that are suffering some of that beauty. I am joining the other Irish Parenting Bloggers in an online blog-hop to raise as much awareness as possible. You can read the other posts below, please feel free to share any or all of them. Sign the petition to ask the Irish Government to do more to help. Just click here. For anyone in the UK you can sign a similiar petition here. There are numerous charities helping the refugees crossing the Mediterranean sea. Please, please donate even a few euro to Medecine Sans Frontieres, Amnesty International, or Trocaire. Alternatively, if you’d like to be part of a very worthy organised event the Irish Parenting Bloggers have organised a virtual coffee (or tea!) 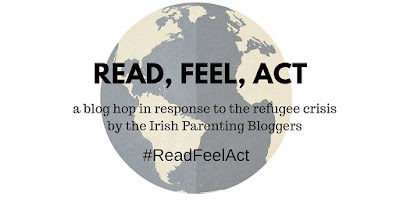 morning – check out and ‘like’ the Facebook Event page here – to help raise much needed funds for the Ireland Calais Refugee Solidarity Campaign. On Friday, September 11 just pour yourself a cuppa; go to http://www.irelandcalaisfund.ml/ and make a donation to the fund (we suggest €5 per person but please give what you can) and upload a screenshot of your donation plus a pic of yourself enjoying your cuppa to your Facebook page or other social media channels and tell your followers all about it. Then just link to this event to encourage your friends and family to take part too. Keep an eye out in your local area for collections of clothes, shoes and other necessities that will be shipped to those that need them.